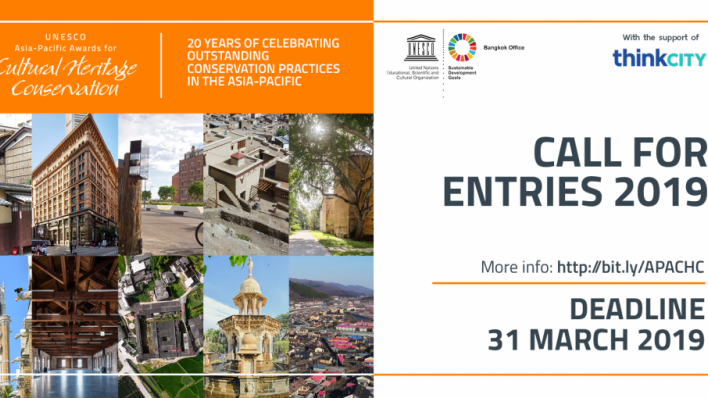 Submissions are now being accepted for the 2019 Asia-Pacific Awards for Cultural Heritage Conservation. The upcoming cycle will mark the 20th year of the Awards honouring best conservation practices in the Asia-Pacific. To Apply for the 2019 Awards and for official application materials, please visit the Award webpage.